A simple hairstyle doesn’t mean uninteresting. These quick styles are actually quite fun and exciting! Break your style routine and stop wearing the same hairstyle day after day. Mix it up and be inspired by some of these simple hairstyles that are fun, quick and easy to achieve. Change up your look by adding a side ponytail or braid, or amp up your volume by teasing or combing your hair in a different way. 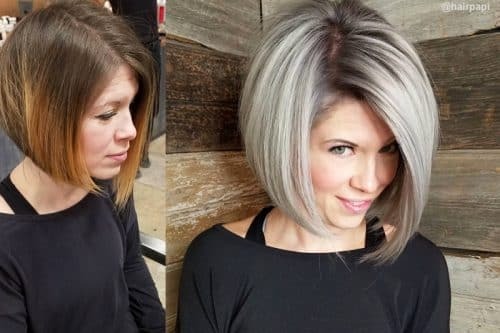 There are tons of simple tips to freshen up your old boring hairstyle. Taking your hairstyle to the next level doesn’t have to require styling classes or hours with your curling iron. Just follow the basic steps for these simple hairstyles to change up your look and add a fresh twist to your life! The messy bun’s sophisticated cousin. Go anywhere with this tight updo that is for both casual and formal occasions. Gather multiple strands and around the top of the head and twirl in a bun at the nape. Loosen up braids, let down a few strands, and you’re all charmed up. For weddings or proms or just your everyday look, this luxurious low bun is an all-around glam. 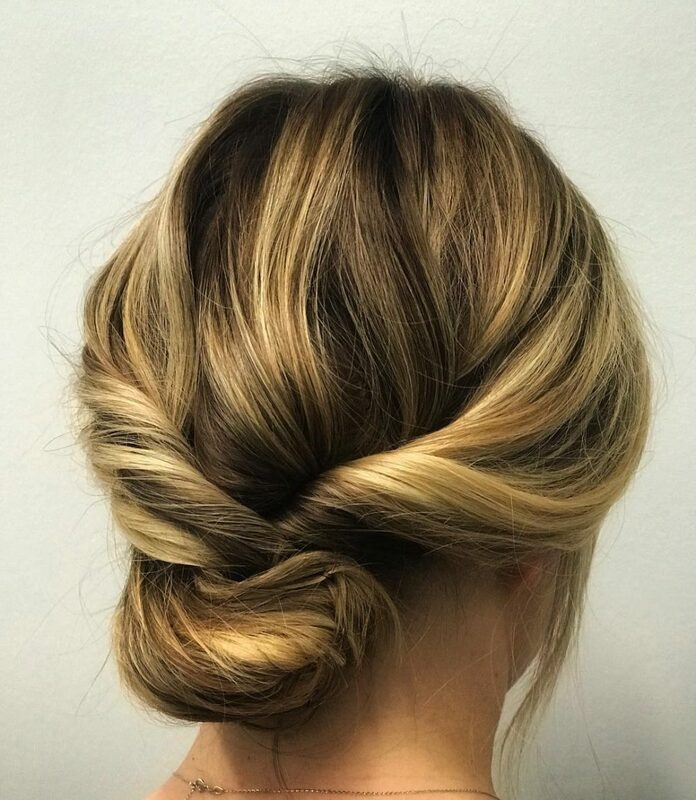 Balance this kept-up look by letting twisted strands loose around the face and at the bun. I would describe this look as effortlessly glamourous. 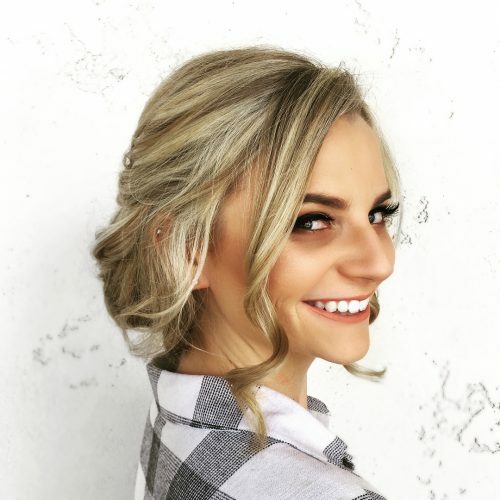 The current trends for updos are what I like to call “messy, but on purpose” by twisting and curling the hair, I was able to give this client a look that says “I’m beautiful but I didn’t try too hard.” My favorite thing about it is it works for all hair types, so anyone can rock this look! I usually tell my clients that an updo is perfect for formal events because it is sophisticated and classy. If the client will be wearing a dress with an intricate neckline, they should show it off and this style does! As far as products go, I use a generous amount of hairspray and some root boost products to ensure they get volume in their style. And once the night is over, they can take out the hairpins and wear it down and curly! I absolutely love this look because of how simple and cute it is! 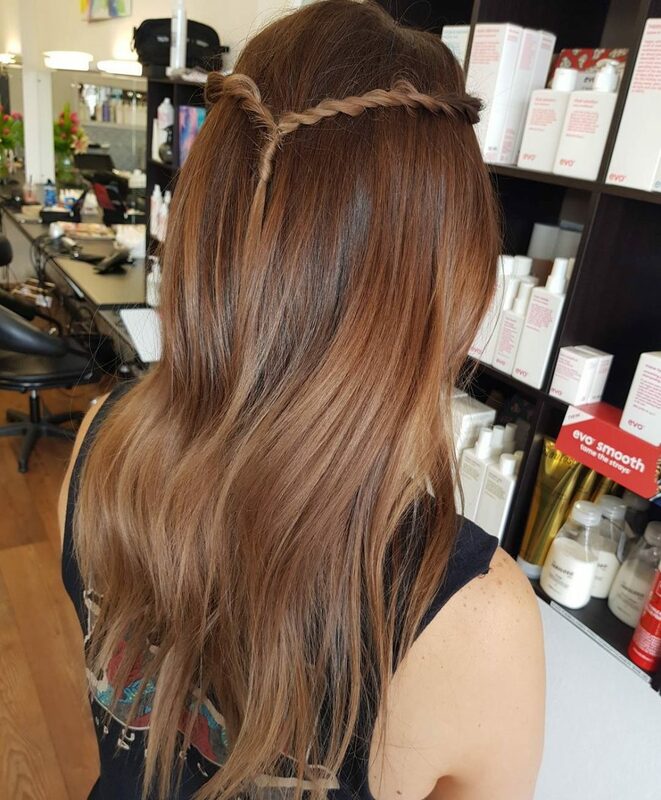 Soft beachy waves and a braid make it even more feminine and dressed up! I love the fact that it gets my hair out of my face! It’s a great hairstyle for anything from everyday to formal! I did this look on second-day hair! So my curls were a lot softer than they were the first day! I first brushed out my hair and separated the front part of my hair for the braid. I then french braided the piece all the way down and secured it with a rubber band. I pinned the braid back with a bobby pin under a layer of hair in the back of my head! I finished it all off with a few sprays of hairspray! This is a wrapped ponytail with a light wave. I like the elegance and simplicity of the look, and that it is fast and easy to create. 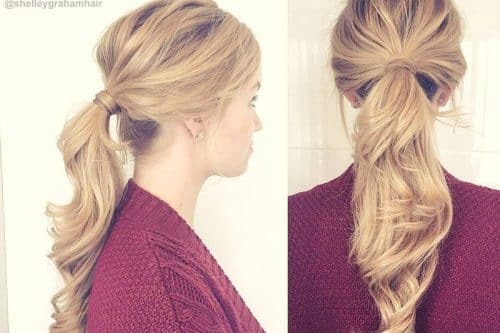 Start by curling the hair. When pulling the hair back, you want to use a good mousse or styling spray to gather back all the hair and create a smooth look. When wrapping the hair around the ponytail, take a piece from underneath the ponytail and be sure to wrap it loosely to create the best look. 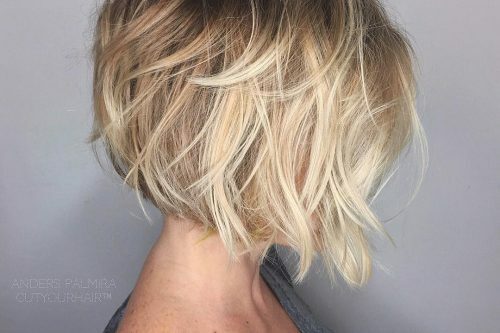 I love this long layered bob. Kerry has a petite, oval-shaped face and looks good in any length, but this provides her a lot of versatility. She is always up for any color and can wear both warm and cool shades. This latest color melt is perfect for Spring as it’s not too warm and will just make her green eyes and freckles pop. Kerry has fine hair, but LOTS of it. A good 2.5 inches up from her neckline is shaved in the back. We used Biphasic infusion which is an elixir that provides heat protection, smoothness, and shine. Then I used the smoothing style cream Style Soufflé to blow dry her hair with a medium to large round brush for shape and movement. Both products are from Paishau and she follows this regimen at home as well. Getting body into the hair right after washing allows for a day or two to curl, straighten or wear as is, without having to wash again. 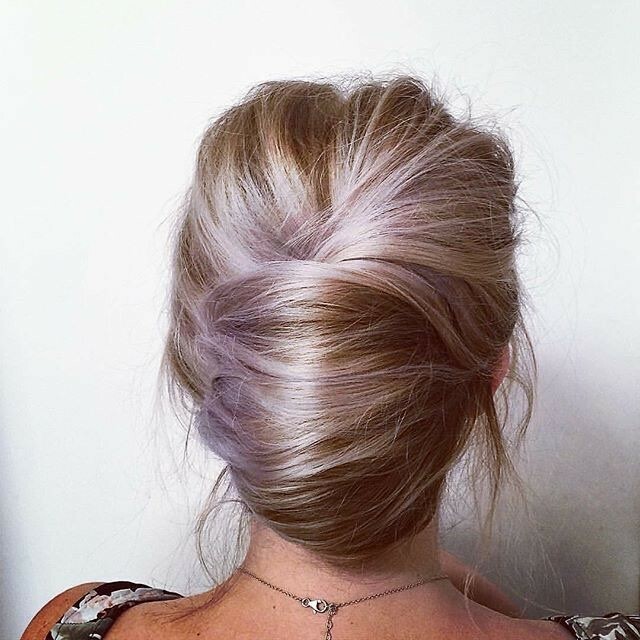 This is a modern take on a classic French twist with a lavender-y blonde to compliment it. My favorite thing about this look is the ease of it. It feels simple and easy, but also elegant. If you are considering this look, some things to think about are the length of your hair and the density of your hair. This client’s hair is medium thickness and her length is past her shoulders. You want to use light products with a workable hold. I used Aveda’s Air Control Hairspray and dry shampoo. As for the color, this is a fun color for a blonde that wants to play a little without being super dramatic. I would describe this look as an edgier take on your typical pony. My favorite thing about it is the messy/undone look of it. This style is very versatile and can be worn for a fancy night out, as well for a more casual look. It’s great for medium to long hair and would be a great option for someone with thick hair. I suggest a texture spray, such as IGK’s Beach Club, to help achieve this look. 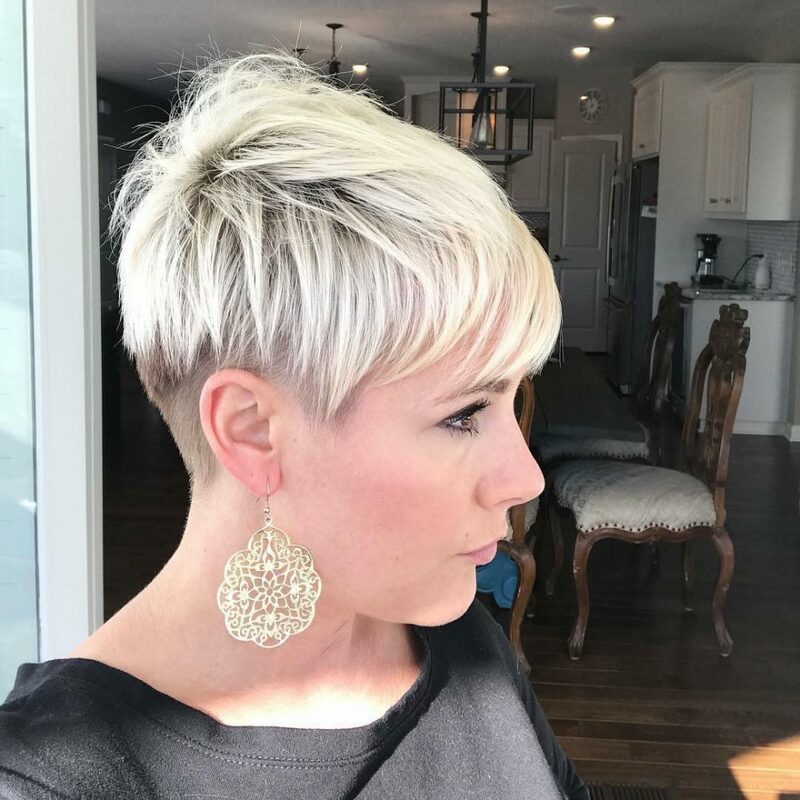 This is a super fun and modern pixie cut. I love that it looks so unique but takes only minutes to style! It is perfect for the busy mom lifestyle. My advice is to not be afraid to be bold. 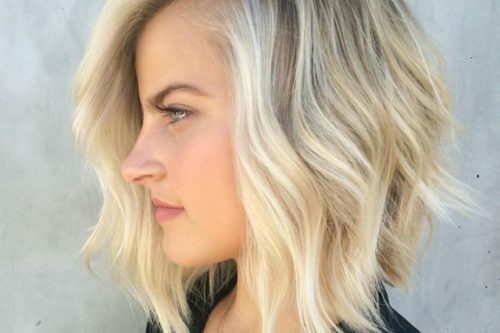 Find a cut that shows off your face shape and don’t be afraid to use some product! 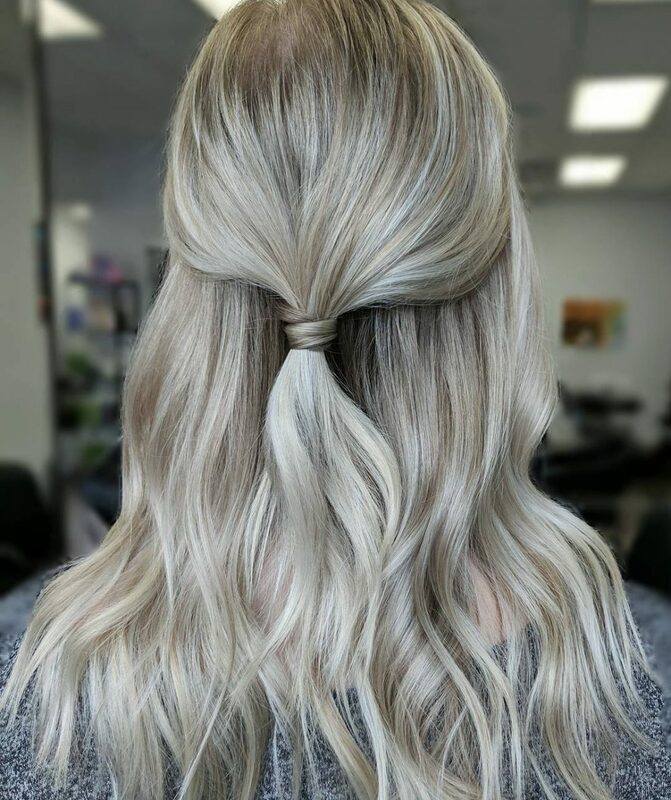 We styled her hair using Monat Air Dry Cream! This is an awesome product that you work through wet hair and let dry naturally! 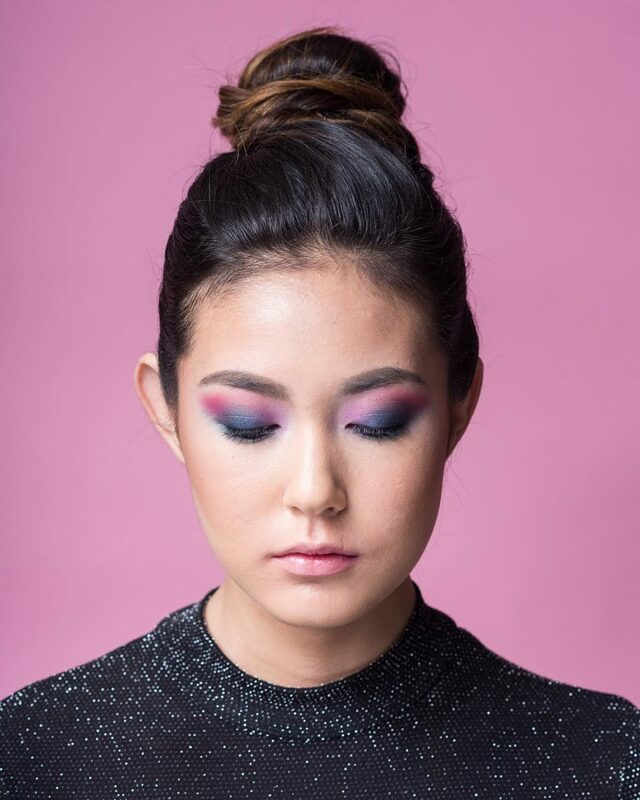 To give some background, I actually did this look on my best friend! She had vivid colors on her hair and got tired of the look, so she put black box dye on it two to three times to cover the vivid color. 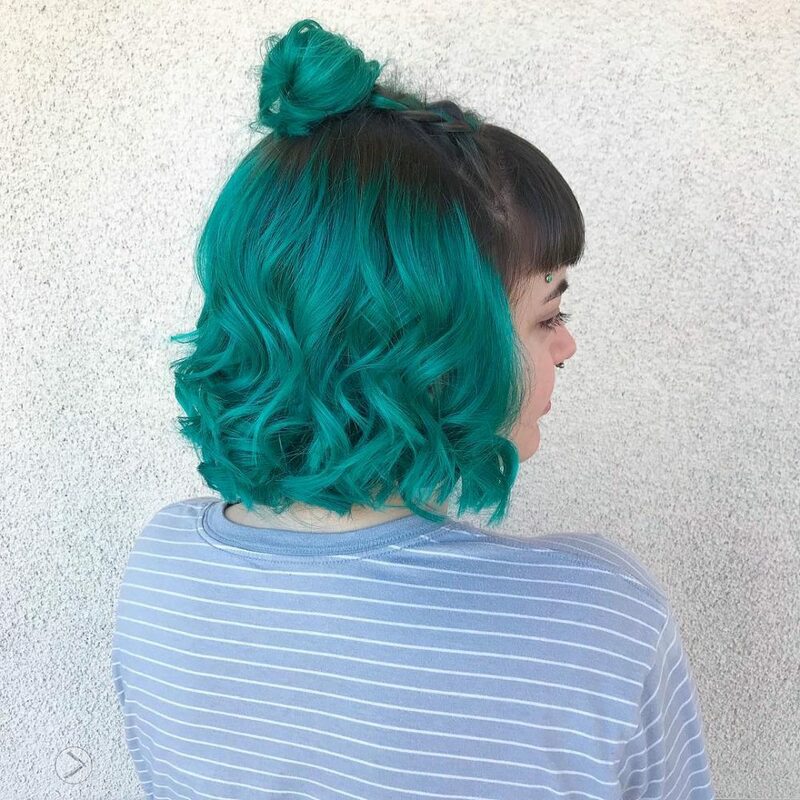 After she kept up with the black for about a year, she decided she wanted to go back to vivids, starting with this gorgeous teal! It took two sessions to break through all that black without compromising the integrity of her hair. After about 11 hours of work, we got what you see in this picture! I would describe this look as a curly teal bob with a medium ash brown shadow root styled in twin French braids into a little space bun on top. I would say my favorite part about this look is that I got the opportunity to work on my best friend and give her beautiful results under typically unforgiving circumstances! I started by washing her hair with R+Co’s Dallas shampoo and conditioner. I prepped it by towel drying her hair, then applied a little of R+Co’s Grid to help keep her curls looking defined. I used a 1 1/4-inch Paul Mitchell curling iron to curl everything. 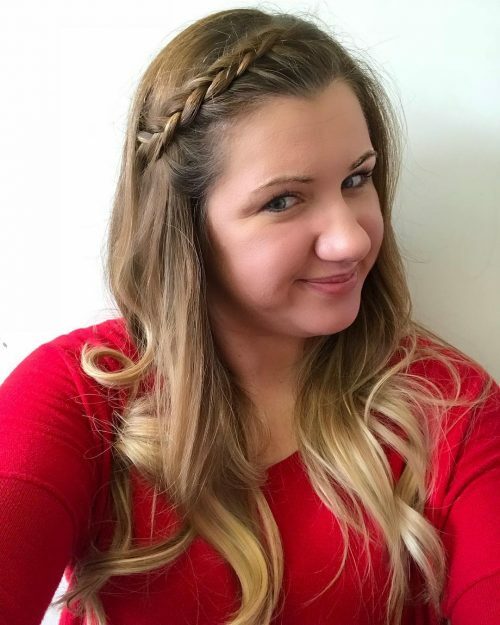 To finish off, I French braided two inch-wide sections, tied them off into one little ponytail, backcombed it, and pinned it into a bun! 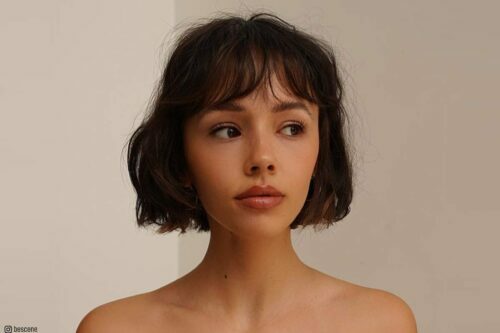 I believe this hairstyle looks good on every face shape and looks really great curled, straight, or anything in between. I also believe anyone can rock fun, vivid colors like this teal! 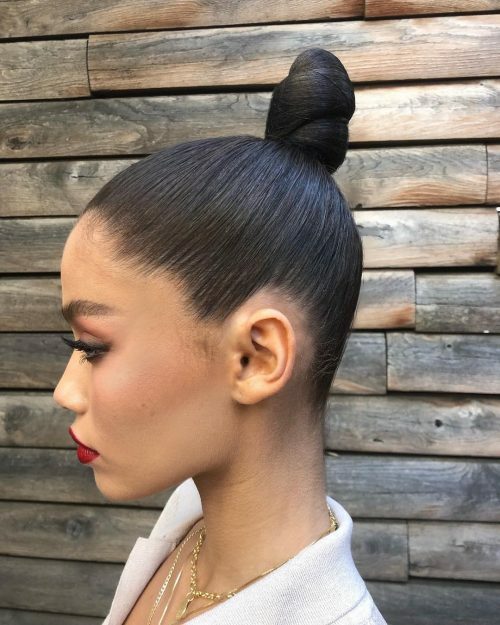 This is a topknot or bun hairstyle. My favorite thing about it is that it can be worn for a dressy or casual occasion. This hairstyle allows you to have that option and still look chic either way! Anyone can wear this style! It looks great if you have a high collar shirt or dress that you want to show off your neck with. It’s like an instant facelift to have your hair pulled up and off your face! For this photoshoot, I kept the style pretty sleek, but it’s ok if you want it to look a little messier. Start by using a light oil or styling cream to prep your hair and give it some sleekness. I sectioned off the very top front first into a little mohawk and clipped it out of the way. Next, you will start to brush the rest of your hair into a high, sleek ponytail. Secure the ponytail tightly with a hair tie, start to wrap it into a bun, then pin. Lastly, take that mohawk section you left out and create a slight twist to pin at your root. Take the remainder of the ends and twist while wrapping around your bun. Pin securely and spray with a light working spray to tack down any flyaways. I like to use all Unite Hair Products. They work great and smell amazing! 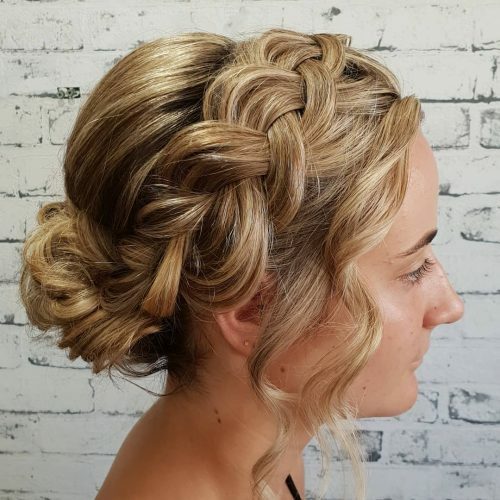 This effortless twisted updo is created for all hair textures and beauties. 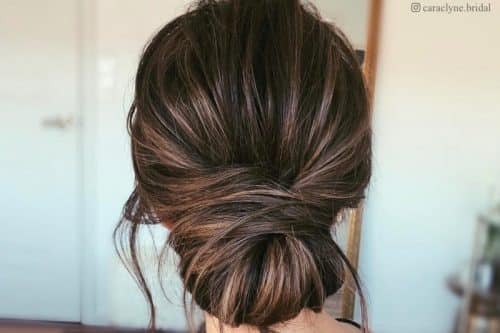 My favorite part of this style is the endless possibilities of where you can wear this effortless twisted updo. From a luxurious day at the office to a memorable walk down the aisle, it suits all occasions. 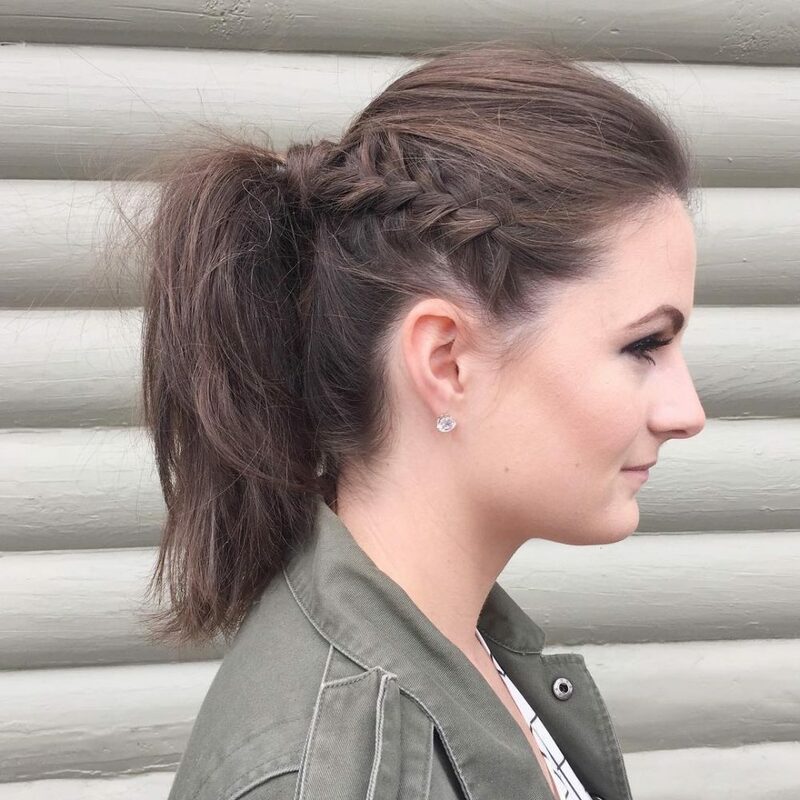 This style can easily be perfected with the choice of Paul Mitchell Products and Straight Pin LA essentials. For the foundation, I recommend Boomerang restyling spray. For the “muscle”. I recommend Invisiblewear Volume Whip, Pump Me Up, and Neuro Style Protect as a thermal protectant. Finish with Invisiblewear Orbit Hairspray. 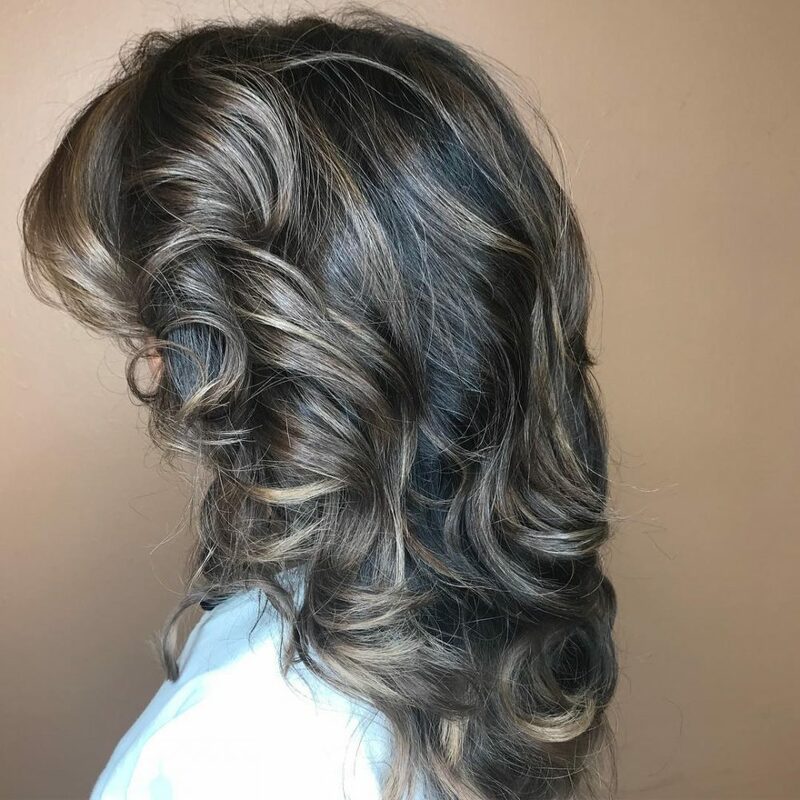 My favorite thing about this look is how well it complements the client’s natural texture. 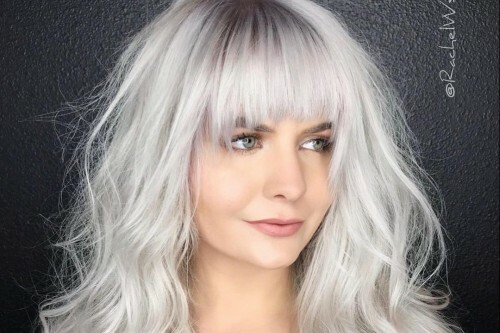 This classic, long layered shag thins out her bulky locks to give them life and body. 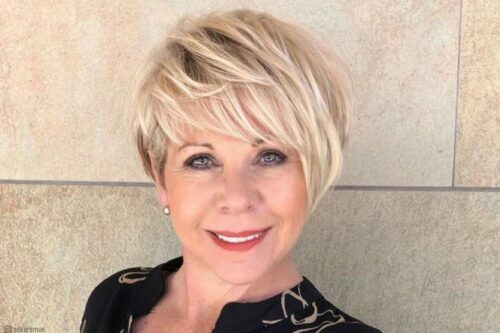 This style is for clients that have thick wavy or curly hair and that like length, but also like shorter lengths around the face to highlight their bone structure. 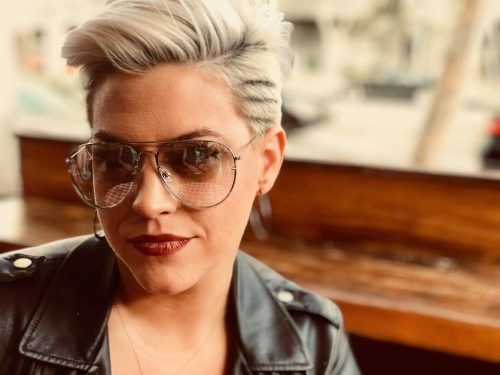 This cut isn’t for thinner locks unless you’re married to a blow dryer, curling iron, and a ton of styling products. My favorite thing about this look is the color of the blonde. It is super light and cool, but with lots of dimension. I would describe it as silver beach babe. 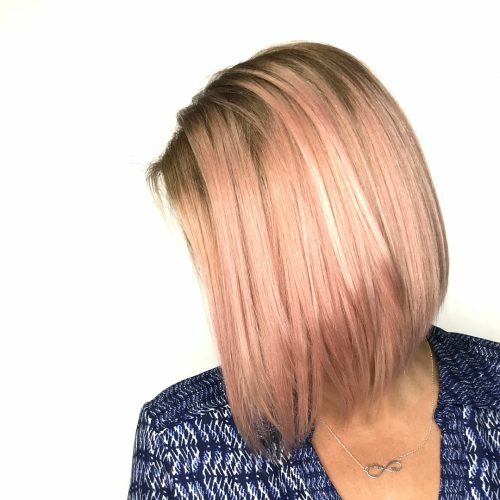 The products I used to create this look were Milkshake Glistening Milk to tame frizz while adding shine without weight, and AG Texture Spray to help define the ends for dimension. I used a 1 1/4-inch curling iron, leaving twp inches of the ends of out to give that beachy look. I think this look would look great on anyone. It can also be dressed up or down. The waves really bring out the color and the hair wrapped around the elastic keeps the look tidy and brings it all together. This bohemian style is quite effortless, yet the twists add enough detail to create a focal point and show off different tones in the hair. 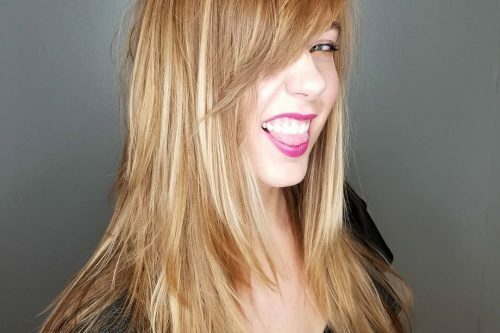 This look is ideal for foiled blonde or balyage clients. 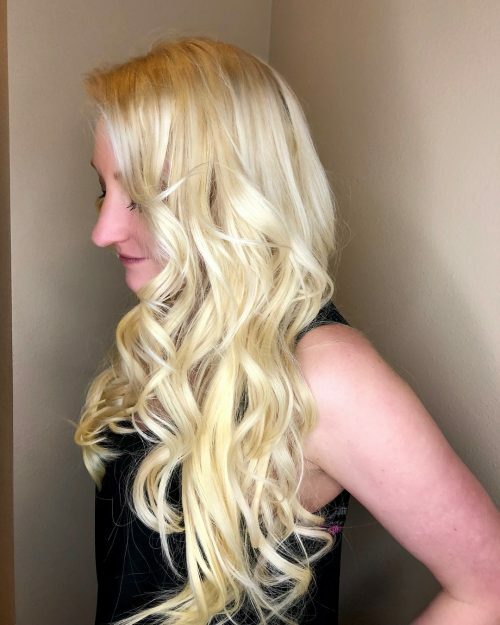 To create this look, I recommend using Evo Icon Welder for heat protection, a Cloud Nine wide iron to curl the hair, a wide tooth comb to comb through curls when they are back to room temperature, Evo Love Touch for shine and anti-frizz, and Evo Helmut Original which is a strong hold hairspray to finish. 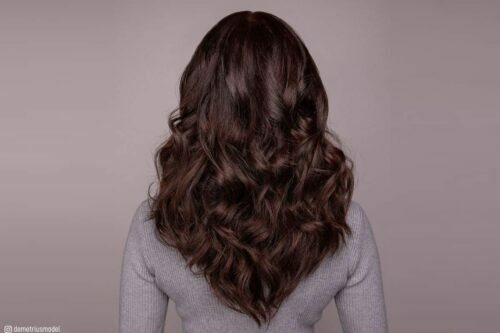 This look provides slight width from the loose waves, but no volume. It is best suited to clients with an oval, square or triangle face shape. Pair this style with a maxi dress or a shift dress and feel the freedom! This specific look is simple but elegant. My favorite thing about this look is the infinity braid. It shows no ending to the braid with how it is carefully pinned! Her hair was blown out with Oribe’s Royal Blowout. 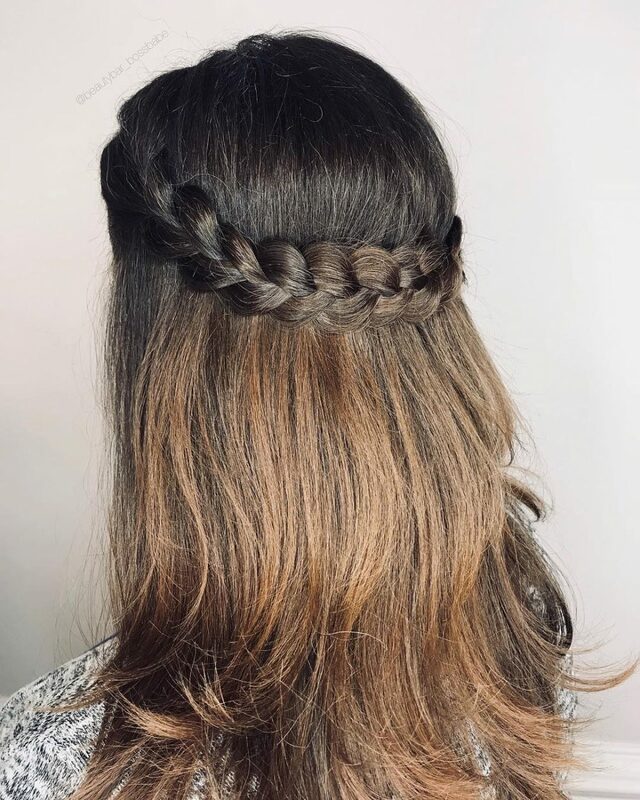 The braid was constructed with Oribe’s Swept Up powder which helps add texture to the braid to easily distress it and expand it to create the illusion of a wider, thicker braid. She was finished off with Oribe’s Impermeable spray to help keep the flyaways down and the overall look frizz-free. 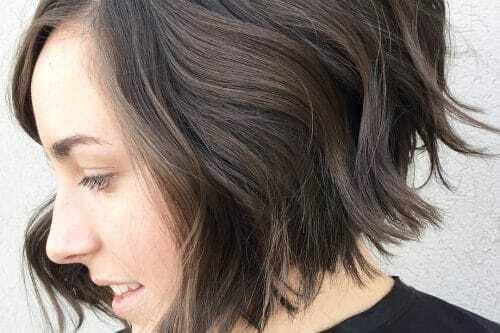 This is the perfect style for any hair type! The simplicity of it makes it do-able for any texture. This specific client was heading to a photo shoot which is why I did this look because it looks great from all angles! This look is also perfect for the everyday woman who likes to keep her hair away from her face. The braids are perfect to keep the hair back and secured while still looking classy and elegant.